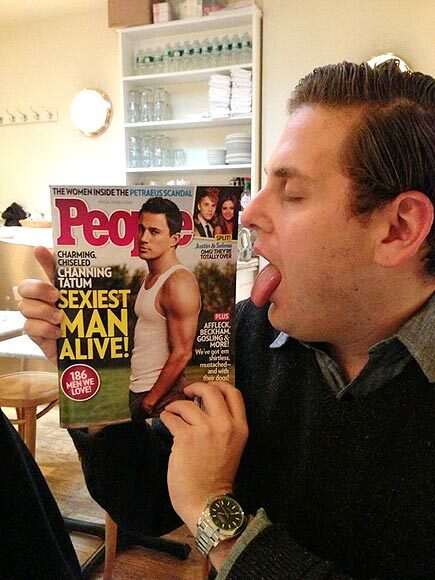 See the gallery for quotes by Jonah Hill. You can to use those 7 images of quotes as a desktop wallpapers. 'Allen Gregory' came about because we wanted an animated show and we were just tossing around some ideas about me playing a 7-year-old. We thought that would be cool, because we couldn't do that in real life. I always wanted to be a film-maker when I was younger, not an actor. I was an eight-year-old who dreamed of being a writer on 'The Simpsons,' which was a weird dream to have. But I started taking acting classes as a way to learn how to direct actors and I sort of fell in love with it. I directed my first music video for Sara Bareilles. I like writing and directing. I co-wrote '21 Jump Street' and I'm in that. To me, they all inform the other one. I think writing makes you a better actor, acting makes you a better writer, directing makes you better at both. To me, I'm just trying to learn as much as possible. I love my parents. But I'm almost 28 and it's not fun to be asked, 'What are you doing today? What do you want for dinner? When are you going to be home?' It just makes you feel like a kid. It's this juxtaposition of feeling annoyed and really lucky to have people who love you so much. I was thin in high school and then I gained weight. I went to a nutritionist. I learned for the first time about what things are healthy to eat, basically. I'm really proud of 'Moneyball.' To me, it's about feeling pride in a movie I made. I think when I'm an old man I'll be able to show it to my grandkids with pride. That's all I can really go for: making movies to please me. I've never had issues with popularity. I was always a popular guy... I've always had friends and loved ones and everything, so it wasn't like, 'Oh man, I gotta fill some void that was left by high school.' I had a great high-school experience. It wasn't like, 'I'ma lose weight and start doing dramas.' I wanted to be healthier, and that was the impetus for wanting to lose weight - it's just about being healthy and feeling good. It's almost like, when someone plays poker for the first time, they might be a professional poker player out of ignorance, just accidentally winning. That was how it felt in my first stand-up appearance. Look, at the same time that I don't want to be a celebrity, I understand that when you make movies you put yourself out in the public eye. I'd be a baby and a fool to be like, 'Why are there cameras taking pictures of me?' when I'm on a billboard for a movie. I think that's a very absurd concept. Once you make a movie like 'Superbad,' when it's popular and you're the lead, you get offered all kinds of things and there's a temptation to make bad movies either for the money or to maintain your relevance in pop culture. One of the greatest moments of my career was on the road promoting 'Superbad' with Michael Cera and Chris Mintz-Plasse. We were showing the movie at colleges. Stanley Kubrick made Shelly Duvall go crazy during 'The Shining.' It's like one of the best performances ever. Maybe he shouldn't have gone that far, but I love that movie. The fact that the Kardashians could be more popular than a show like 'Mad Men' is disgusting. It's a super disgusting part of our culture, but I still find it funny to make a joke about it. Much more quotes by Jonah Hill below the page. When a movie like 'Superbad' or 'Moneyball' comes out, people make you feel like you're the most important person on the planet. The truth is, you're a billion percent not the most important person on the planet. It's all insulated in your world and no one could care less. It's just a movie. Writing is as big a part of my career as acting is, financially and time wise. So, yeah, I love it. That's all I wanted to do since I was young was be a writer. So that and acting are the two most important aspects of my career. Yeah I grew up in the public eye. I became a man in the public eye, which is kind of a bizarre thing to come to terms with. Now I'm in my late 20s and I was in my early 20s when I became recognizable. But I think 'Moneyball' represents a very strong shift in my career and becoming an adult and a man. All this stuff is so mind-blowing to me that I get to do in my life. Throwing the first pitch out at the White Sox game on a random Wednesday? Like who am I? How did I get this life? I'm glad I'm not jaded, and little kids are the least jaded people in the entire world, so it's fun to be around people that still find wonder in how cool things are. I believe in collaboration. I think that is the most entertaining and effective way to write for me, personally. I mean, I find things that happened in real life to be the funniest - things that you observe instead of crazy abstract things, you know. I would never remake something that was like 'The Godfather.' Things that are truly important to me, I could never remake or reboot, or whatever. I'm a big hip hop fan. I'm an actor, I'm not a comedian, I never was a comedian. 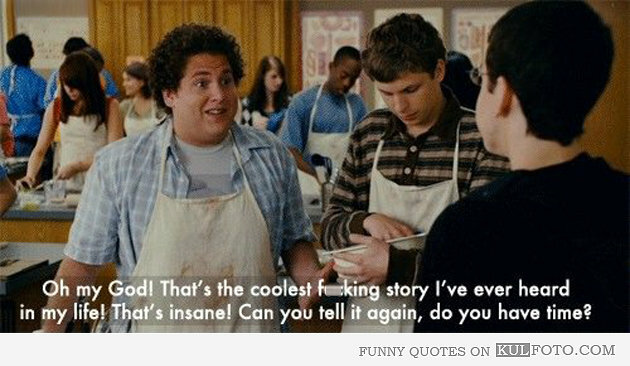 '21 Jump Street' is great. I just made that, and produced it and was a writer on it. It's starring myself and Channing Tatum, and maybe some surprise guests. A whole generation was raised to learn about comedy from 'The Simpsons.' To get to be in a booth with Homer and Marge and be in Springfield - it was unimaginable the emotions that I felt.